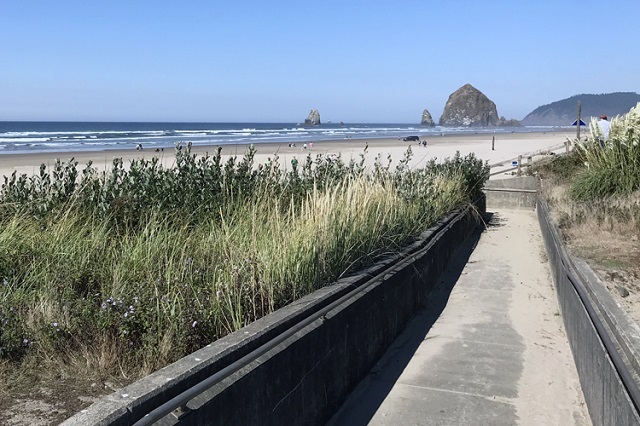 Cannon Beach will soon have beach-accessible wheelchairs so visitors with mobility challenges can enjoy the sand and the surf. The Cannon Beach Police Department will oversee the checkout and return process of the wheelchairs. The chairs will be available on the east side of the city hall building and are free to use. They can be reserved and visitors can leave their regular wheelchairs at the Police Department. Court Carrier, the executive director of the Cannon Beach Chamber of Commerce, hopes that wheelchairs will soon be available throughout Oregon’s entire coast. Cannon Beach currently has two wheelchairs, valued at $2,500 each. The funds for those chairs were privately donated. The goal is to have 4 or 5 wheelchairs and some specialized walkers available so everyone can enjoy the beach. Fundraising is currently ongoing and anyone interested in making a donation should contact the Haystack Rock Awareness Program or the Cannon Beach Chamber of Commerce. Cheryl Hanbury saw someone she didn’t expect to see when she stepped outside to survey the damage to her Bradenton, Florida neighborhood the morning after Hurricane Irma hit. A man in a familiar red and blue suit was cutting a tree that had fallen across her road. Due to the evacuations, no children were around to witness the appearance of the masked man. 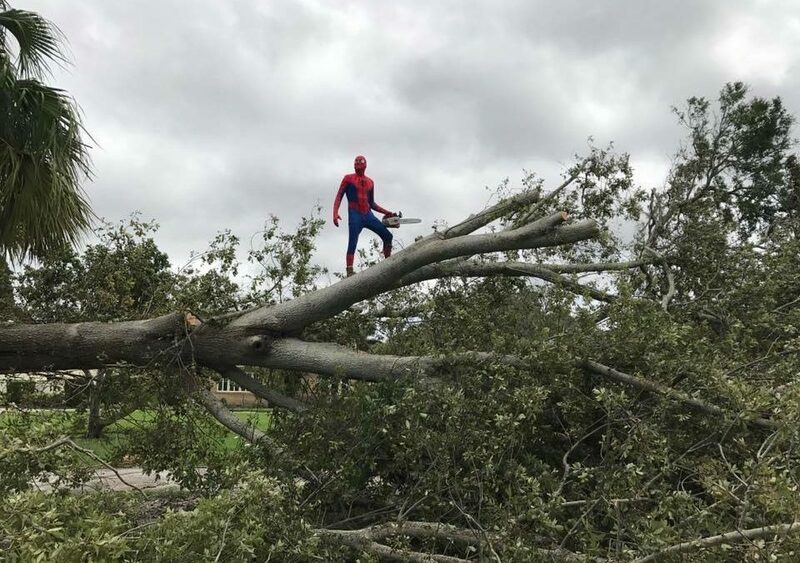 Hanbury hopes Spider-Man knows he is cheering up the spirits of people in Bradenton and throughout the world, since her photos of him have gone viral. A group of bakers decided to help their community when they saw that they were stranded due to the waters of hurricane Harvey. 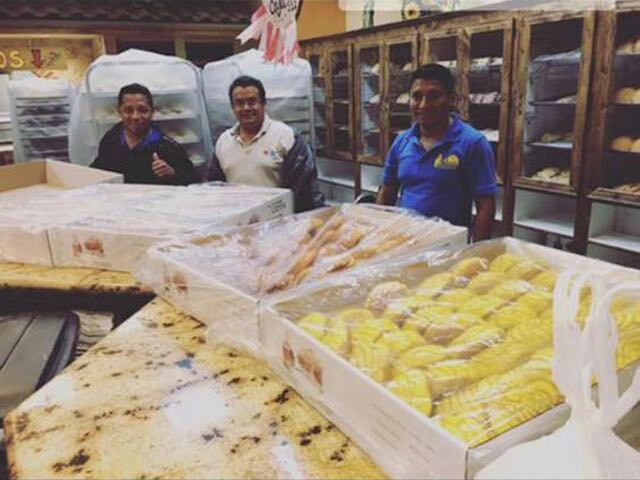 Four bakers of the El Bolillo Bakery in Houston, Texas, were about to head home from a late shift when they saw they couldn’t leave safely due to flooded streets. Rather than worry, the bakers decided to keep the ovens going and bake hundreds of loaves for the hurricane victims. The bakery’s electricity lasted through the day and night, as they baked Mexican pastries and breads particular to the shop’s specialty. The bakers used over four thousand pounds of flour by the time rescue workers arrived. After baking all that bread, the El Bolillo distributed the bread to emergency shelters all around Houston. 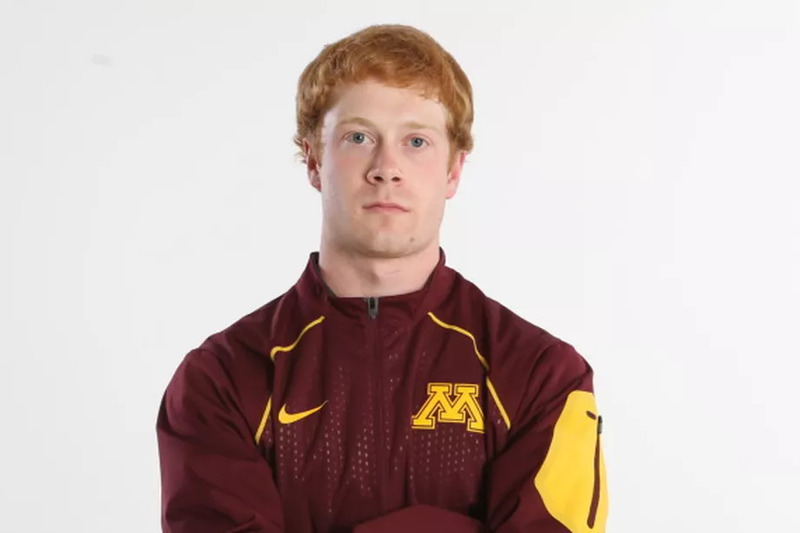 Justin Juenemann, a backup kicker for the University of Minnesota’s football team, recently received an unexpected gift from an equally unexpected source. The 23 year-old has diligently worked as a volunteer at Masonic Children’s Hospital throughout his college years. His coaches and teammates were inspired to do something for him. “Our goal was to create a moment of memory for Justin and his family forever because that’s what he earned,” said P.J. Fleck, head coach of the Minnesota Gophers. Kyle Tanner, a teen patient at the hospital, spoke in front of the team and singled out Juenemann as his favorite player. 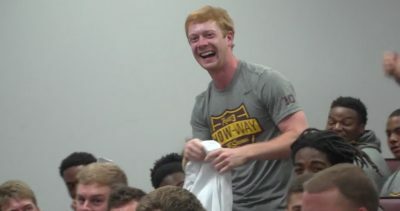 Coach Fleck handed Tanner a t-shirt and told him to put it into a t-shirt cannon and fire it directly at Juenemann. He did so. Juenemann caught the white shirt, unraveled it and read the message on the front. “Justin, congrats you have earned a scholarship,” it read. Justin and his teammates celebrated afterward and he FaceTimed his mother to show her the shirt. This scholarship will help Juenemann complete his senior year. “I am pursuing a human resources degree and I’m looking…to help people throughout the rest of my life,” he said. YouTube recently announced how it intends to combat terrorist propaganda and rhetoric on their website: they will redirect the users looking for those things. Users who search for such content will be shown to videos that depict clerics refuting violent religious narratives. They will also be directed to videos that show victims of terrorists. Multiple social media platforms such as Facebook, Twitter and Google have been eager in their response to the deluge of propaganda that has been surfacing on their platforms, where it can be accessed by anyone, including those with a habit of violent behavior. 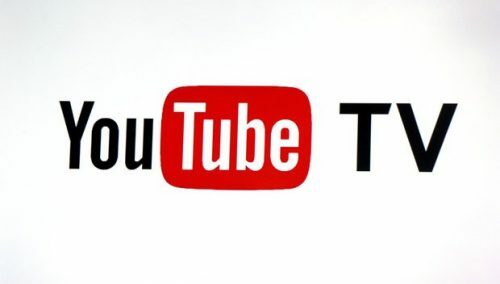 YouTube already prohibits its users from uploading videos that are comprised of violent or racist content; however, users can get around the website’s sharing rules by posting hundreds of links. Propaganda videos are often uploaded as “unlisted,” which means that users can’t find them through a search but the videos can still be posted on social media or shared with direct links. The Redirect Method was conceived and developed by Jigsaw, a company owned by Google’s parent company, Alphabet. The Method is intended to target ISIS-focused videos and was constructed with research partners who had explored the major avenues and narratives the group used for recruiting. YouTube, aside from announcing the Redirect Method, also stated that it would be expanding product functionality to a wider set of search queries in languages other than English and would be using machine learning to update search query terms. It also intends to work with expert NGOs on creating new video content to counter violent extremist messages and to collaborate with Jigsaw to expand the Redirect Method in Europe. “As we develop this model of the Redirect Method on YouTube, we’ll measure success by how much this content is engaged. Stay tuned for more,” YouTube said.